Satin vs. Sateen: What’s The Difference? When on the hunt for new bed sheets, it’s common for shoppers to run their hands over the material to find the one that feels the best. While each material tends to have it’s own distinctive look and texture, there are two material types that often confuse shoppers; satin and sateen. Unless you work with fabrics on a daily basis, the difference between satin and sateen is hard to identify. With a similar look and feel, what really separates these two silky fabrics are the way they are woven and their fibers. Satin and Sateen share very similar weaving patterns that differ from the traditional–one thread over and one thread under. On average, the satin and sateen weaving follows a four thread over and one thread under pattern. However, it’s the way this pattern is executed that makes the fabrics slightly different from one another. Referred to as weft or warp, the ‘one under, four over’ pattern can be done in a variety of intervals (i.e. for satin: one under, four over; one over, one under, three over. For sateen: one over, four under; one under, one over, three under etc.) While satin follows a 4/1 pattern (warp), sateen has a ¼ (weft). Although they vary by interval and pattern, this form of weaving actually helps to maximize the threads that are visible on the top-side of the fabric–the lustrous side–giving the fabric a two-dimensional appearance. Additionally, satin and sateen are made with different fibers. High-quality satin in typically made from silk thread, but it can also be woven from nylon or polyester. Nylon and polyester tend to be more durable, cost-effective, and glossy. However, nylon and polyester fibers do not breathe as well as silk. On the other hand, sateen is made from cotton and sometimes rayon. In order for the cotton to attain the smooth and silky look, it usually goes through a carded, combed, and mercerized process. 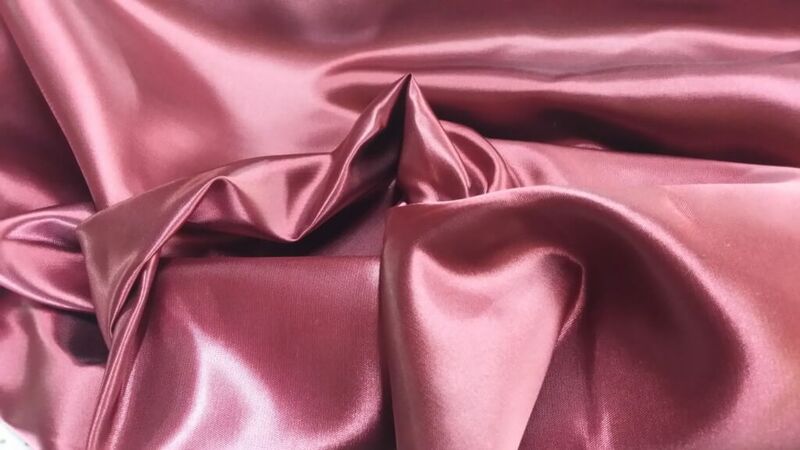 Satin is commonly used for the creation of a variety of garments and can even be found in upholstery fabric. As a more durable material, sateen is usually preferred for items that will see more wear and tear–bedding, drapes, etc. Due to their durability levels, their upkeep tends to vary. Sateen is usually machine washable, while satin needs to be dry-cleaned or hand-washed. On occasion, satin can be machine washed, but it all depends on the fibers it’s made from. Luckily, care instructions are included with almost any fabric, piece of clothing, upholstery, etc., eliminating any confusion. Even though these two materials may seem the same to the touch, satin and sateen boast their own separate qualities. Therefore, if you are looking to commence a project with either of these materials, be sure to conduct your research for the best possible results.